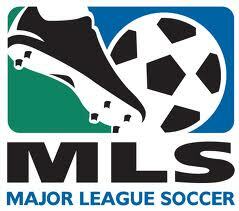 Major League Soccer has kicked off its season last weekend with it its new broadcasting deal with partner NBC. You might have missed the broadcasts because it seems that people are missing NBC Sports a good deal these days leading to very bad ratings. NBC’s woes might not go away soon due to the fact that the MLS has not yet broken through as a ratings driver. Its troubles in this area are varied, and it has at different times come under fire for everything from when it starts to its trading window. A good look at some of the issues can be found in these transcripts from Eric Wynalda. Yet if you attend a match the energy is great. Fans are knowledgeable and attendance is growing. So what more can be done? Well using social media and other tools to keep the sport in front of fans is one step, and one that the league is taking. 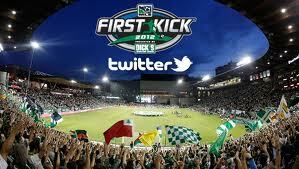 It conducted a Twitter-based contest last weekend called #FirstKick for fans attending their teams opening match. The rules were pretty simply and any fan with access to Twitter that attended a match could participate. All you needed to do was tweet a photo of you or your friends from a match to win. The tweet needed a @MLS twitter handle; it needed the #FirstKisk hashtag, proof that you were actually at the game in the photos such as stadium, player, promo or sign visible in your photo and last a link to your photo available on public domain, ex. Twitpic, Lockerz, Yfrog, Photobucket, Flickr, etc. Submissions were accepted from Saturday, March 10 at 6 PM EST and ends on Monday, March 12 at 11:59 PM EST, so there is still time to send your photo in! There will be a winner draw at random for each day. Fans that are traveling, or have games that are not broadcast can watch the action via MLS Live, which the league has revamped for the current season. The program, which does have blackout rules, allows fans to watch games via computer, iPad or iPhone, Roku and can be integrated with Apple TV for broadcast as well. Cost for a season is $59.99 and the free preview unfortunately ends on March 12. The league has the obligatory Facebook page that also has the ability to keep fans in touch with what is going on in games and the league as a whole. I was surprised to find two friends that I did not know were fans not only subscribed to the page but also wrote about the sport in blogs and posts elsewhere. I guess when you have 325,000 likes that is inevitable (the league not me). I did not check Myspace. I feel that the aggressive use of outlets such as Twitter and Facebook, as well as revamping and increasing its online presence is vital to the success of MLS. The league has a number of soccer only stadiums that show off its product very well. But it is obvious that television alone will not get the message out. Even as sports powerhouses Fox Sports and ESPN continue to turn up the presence of soccer in their sports programming, MLS often seems to be missing in the mix. Fox captured the World Cup broadcasts in 2018 and 2022 and has increased its broadcasting of soccer matches, just not US MLS. ESPN, after losing the World Cup to Fox has still increased its broadcasting and online efforts with things such as broadcasting the UEFA European Championships and upgrading its online presence. MLS has been expanding and has seen strong attendance in the new towns like Portland where its games last season were sold out. However television viewership has been flat and this does not bode well for the sport. According to the Big Lead last weekend, MLS averaged 291,000 viewers on ESPN and ESPN2 last season and 70,000 viewers on FOX Soccer. That is just sad. The league, which is kicking off its 17th season, does not have to worry about out of control salaries for players due to a hard cap, but this is a disadvantage because it will be hard to lure top talent from around the world or to keep talent that hears the siren call of a big payday. Glowing television viewership can change that, but it will take all of its tools, on-line, mobile and broadcast, to achieve this dream. San Jose just got approval to build its soccer-only stadium. Think it will be a Cisco connected stadium? Whatever way the Wi-Fi goes it seems like MLS is growing slowly but surely.